Use the form below to contact tour Mostar Tour directly. Having experienced different historical development over the centuries this area has remained the meeting place of cultures and religions with traces clearly visible today. Drive to Neum along the coast, then inlands through the picturesque Neretva River Delta up to Mostar. On our way to Mostar we stop at the fortress-town Počitelj, a well preserved example of oriental architecture perched on a hillside above the river. During the Turkish rule, the city developed on the banks of the river as an important trade center on caravan routes. 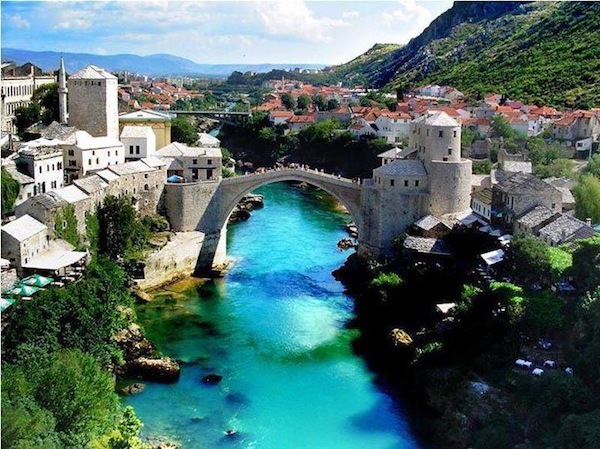 We tour the old city of Mostar included in 2005 on the UNESCO`s World Heritage List, with its graceful Old Bridge with a single span, colorful Bazaar with traditional handicrafts and the Mosque.